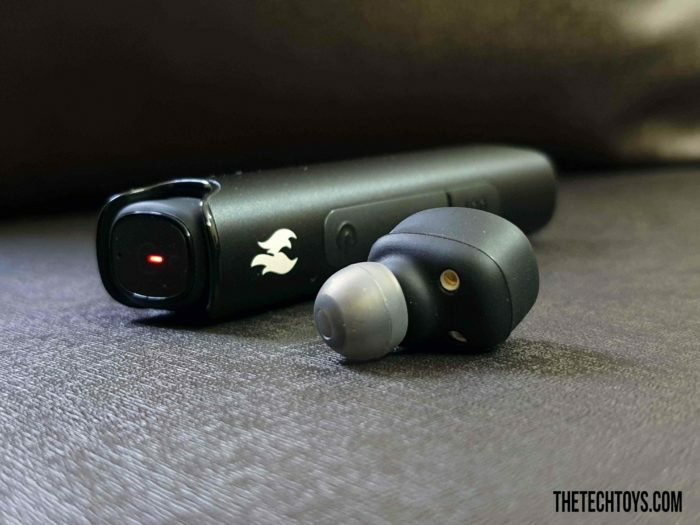 xFyro xS2 Review - Is it the Best Truly Wireless Earbuds under $100? 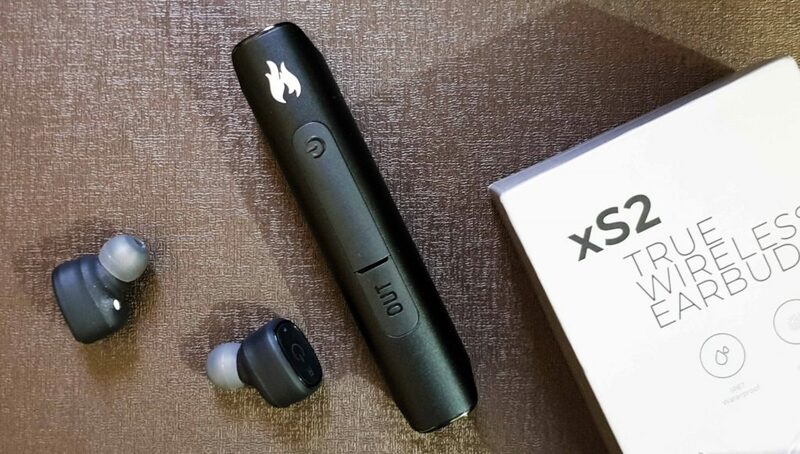 Home Uncategorized xFyro xS2 Review: Is it the Best Truly Wireless Earbuds under $100? Truly Wireless Earbuds are the hottest product right now in the market. After Apple’s Airpods, we have a huge range of Truly Wireless Earbuds under $100 in the market but not all worth our hard earned money. A few days back, xFyro contacted me and sent me a unit of xFyro xS2 which are Truly Wireless Earbuds. To be honest, I never heard about xFyro but after receiving the product, I used it for 3-4 days and results are unexpected. 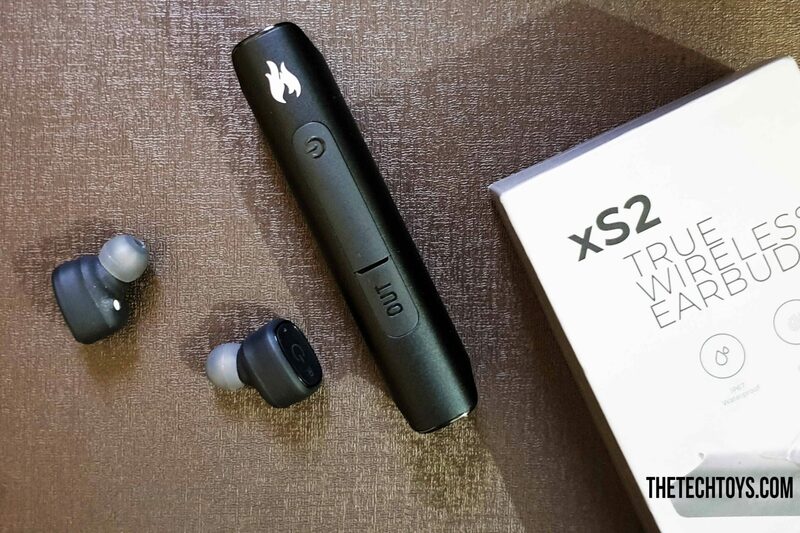 So here is everything you need to know about xFyro xS2 Truly Wireless Earbuds. 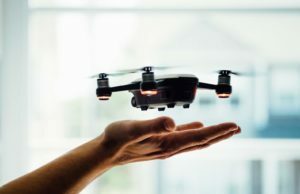 Use Coupon Code THETECHTOYS10 to get Extra 10% Discount. 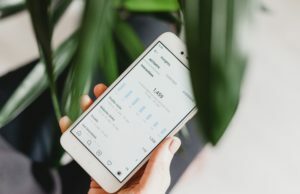 xFyro is working good and trying their best to satisfy the users. That is why, they are asking people like us for the improvements in their product. The first generation of xS2 was not that good but this new design of the xFyro xS2 is really impressive. It does not look cheap at all. 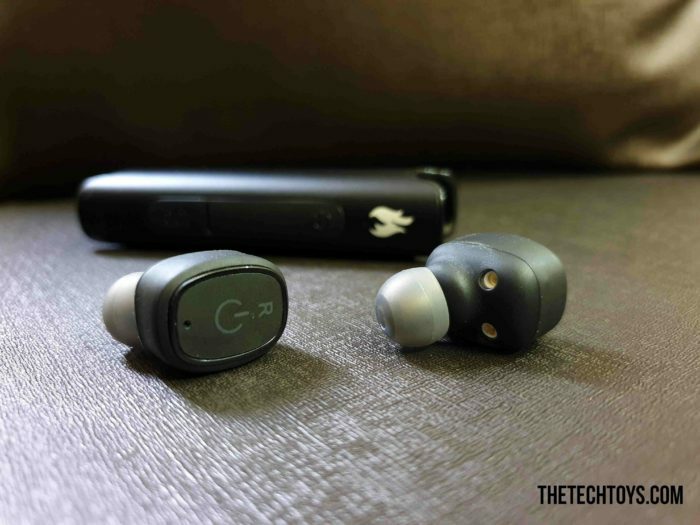 The Earbuds are made up of good grade plastic and rubberized material that looks appealing to eyes. The xFyro xS2 comes with a magnetic charging dock with the capacity of 850 mAh which is made up of high-grade aluminum. You can also use the Charging dock as the power bank. On a full charge, Charging Dock will give you the Stand-Up battery backup of 50 hours which is an absolutely legit number on paper as I checked myself and it worked brilliantly. There is an LED indicator on the charging dock that shows the battery status. 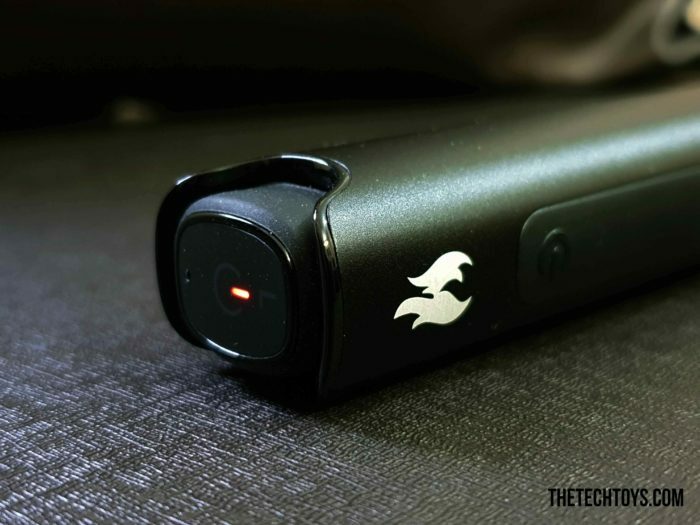 There is also a LED indicator on both the earpiece that lightens up during charging, Pairing, Low Battery. You will see two USB ports on the Charging Dock, one for Charging the Dock other for charging other gadgets that support USB charging. From the portability point of view, xFyro is very portable and you can easily carry the Charging Dock with Earbuds in your jeans’ or shirt’s pocket. The earbuds itself are not bulky at all and fit perfectly in the ear canal. Don’t know why but I have to do some extra efforts to tighten the grip of the ‘Right’ Earpiece. But eventually, both the earpieces fit perfectly and holds the ear canal even in the compound movements in the gym and during cycling. In the box, you will get the 2 extra silicon tips that you can switch as per your size of ear canal. 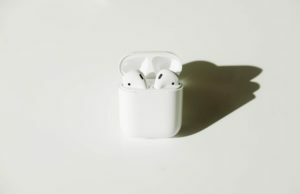 The tactile buttons on both the Earbuds will allow you to take, reject calls, Play, Pause, Next, Previous music and also to trigger Google Assistant as well as SIRI. Talking about Gym, xFyro xS2 are IP67 rated that makes them ready to use for the Gym, Swimming or in the Rain or while taking shower. You can go in the meter deep water with xfyro xS2 for up to half an hour. xFyro xS2 are also dustproof that makes them perfect for rough and tough situations. Although xFyro xS2 are comfortable but after ~45 minutes of continuous use, I felt like I need a break. They used to get a bit uncomfortable but don’t take it as a downside, it is not the worst. The initial setup of xFyro xS2 is really easy. 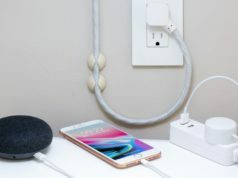 You just need to turn on the Bluetooth on your smartphone, Tablet, Laptop, TV or any device you are connecting to and remove the earbuds from the Magnetic Charging Dock. The moment you take Earpiece out from the Charging Dock, you will see Red and Blue LED light blinking up that shows it is ready to pair. At that very moment, you will see the xFyro xS2 name on the phone’s/device’s screen. Connect and it is ready to go. The xFyro xS2 has Bluetooth 5.0 that builds and sustain the steady connection. It does not lose the connection and remain connected up to 30 feet. Sometime, you will face connection disturbance but within 5 seconds, it automatically fix it. 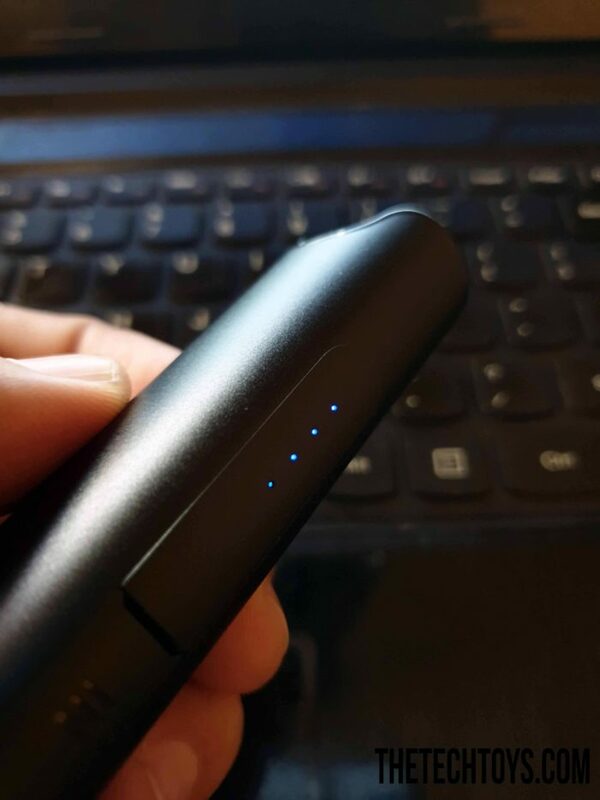 No complaints on the connection, it is absolutely smooth and super easy to setup. I connected my xFyro xS2 with Galaxy Note 9, Windows 10 Lenovo Laptop, Firestick and it always sound unexpectedly great. I mean it. I didn’t expect that kind of sound quality. The Bass is really deep while mids and lows are brilliantly balanced. Unlike other Earbuds, Bass is not dominating the other sound level. For testing bass, I tried some Bass Testing Youtube Videos and it really sounds great. The CVC 6.0 Noise Cancellation works well on the xS2. It cancel out most of the ambient noise but if there is external music being played on the big speaker system, it will fail. Do not use xS2 on the busy roads. It is not safe. 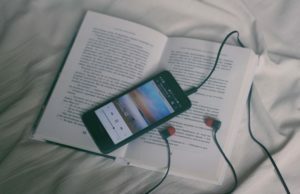 I listen to the different genre of the music which varies from EDM to Rock to Metal to Pop to slow music and instrumentals. In every kind of music, xFyro xS2 impressed me with their well-balanced sound quality. I also tried to play with the equalizer but on doing that, Bass starts to dominate other parts of the sound. So I changed it to basic or normal settings which is the most balanced settings. Hand-free calling is also supported by xS2 as it comes with the inbuilt mic on both the earpieces. You can also use them for Google Assistant and SIRI. One thing to note here that, during calls, only ‘Right’ earpiece will work. This is not a glitch but it is a feature for safety measures. All the Truly Wireless Earbuds comes with this feature no matter which brand you are using. From a sound point of view, I don’t have any complaints with xFyro xS2. Note: xFyro xS2 has in-ear type design and for the best sound quality, you need to make sure that Silicon tips fitted perfectly into ear canal. Any leakage or loose fit will ruin the sound of any earphones. So, in order to get the best sound, make sure it fits perfectly without any loose fit or leakage. Battery Backup of xS2 is really impressive. Charging dock provides you Stand up battery backup of 50 hours which is a legit number. With fully charged Charging Dock, you can charge xS2 Earbuds for 7-8 times. There is a battery indicator on Charging Dock that will let you know when it is hungry for electricity. Similarly, there is an LED indicator on both the earbuds that lightens up on low battery also while charging. Charging Earbuds is super easy. Simply put the Earbuds into the Charging Dock and magnetic Charging dock will hold the earbuds and starts charging. You will see Red LED light on both Earbuds while charging. 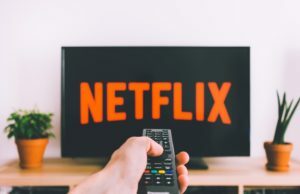 On a full charge, you can enjoy media for straight 6 hours (personally used to watch 13 Reasons Why Episodes). On paper, xFyro claims 8 Hours of backup that I think is a legit number. To charge the ‘Charging Dock’ simply connect the USB to Micro USB cable (comes in the box, but it looks cheap) and it will start charging the Dock. You can also use the Android Smartphone charger to charge the Dock. 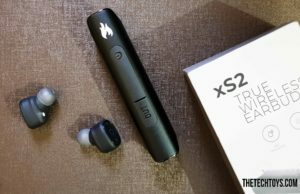 xFyro xS2 Truly Wireless Earbuds from xFyro really impressed me with their performance and all over impression. xFyro really made some significant improvements from the previous generation xFyro Earbuds and came up with a much better product. I didn’t like the Packaging as it was broken because of shipping handlings but the product was absolutely fine and impressive. Unlike Apple, Samsung, xFyro is not the manufacturer of the Truly Wireless Earbuds. They get a basic unit from the chinses OEM and tailor-made the earbuds as per the requirements. They made the product better and they also reduced the price to $99 and you can get extra 10% Discount by using coupon Code THETECHTOYS10. Under $100, xFyro xS2 is probably the best Truly Wireless earbuds you can buy right now. You will also get the 10% Discount. Comparing to other Truly Wireless Earbuds, xFyro xS2 definitely worth the $99-10% discount.